It’s meant to describe the cycle of poverty and systemic racism that plague many low-income communities, particularly African-American ones: children grow up in oppressive, impoverished circumstances, and their limited options keep the cycle going. Starr sees this cycle play out through the life and death of Khalil, and she grapples her disapproval of his choices, while realizing he felt those were the best choices he could make. I’ve heard the book described as being “about #BlackLivesMatter,” but the movement isn’t mentioned once, although activists are definitely part of the story. I think that’s a good choice, since the focus is squarely on Starr and how the shooting unfolds around her. It’s a cycle we’ve seen over and over again: the questionable police shooting; the victim-blaming; the activism; the failure to indict; the protests and/or riots. Reading about this from Starr’s immediate, first person perspective is harrowing. Starr, however, is a full character who struggles with her own identity and her own place in her community, and is clearly not a mouthpiece for the author to make a political point. The ability of the author to make the political personal–and rooted in political history, as Tupac, Martin Luther King, Malcolm X, and the Black Panthers are a clear force in the story–reminds me a lot of Homegoing (which is not YA). This would be great to read in/alongside an 8th grade (or high school) American History class. There’s so, so much history–starting with slavery, but through the Civil Rights Movement and housing segregation, and even up to policies today–that goes into the issues in the book, and reading this book would be a great opportunity to explore even some of those historical causes. With a high school class (or even with an advanced 8th grade group), it would be fascinating to pair this with even excerpts from Between the World and Me. Excerpts from Brown Girl Dreaming would work well for middle schoolers. I’m considering reading this with my Leadership elective next year, and using it as a jumping off point for conversations about activism and social justice. 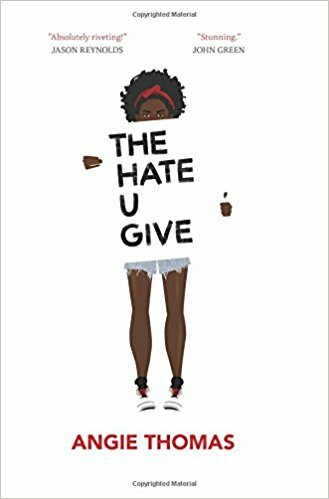 The 7/8th grade ELA teacher at my school is doing social justice literature circles with her 8th graders, and I think this is the perfect book for that kind of project. This is one of those books with very accessible text and very middle/high school content. I’m tagging it with 6th grade because I think it’s too much for students who are any younger. 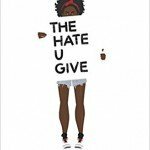 Some of my 6th graders have read it and loved it, but I think some 6th graders may find the language (there are swears), racial issues, and violence too intense. However, I do think it’s an incredibly well written and important book, and one that middle schoolers, including many 6th graders, would get a lot out of. Just don’t give it to anyone in elementary school.